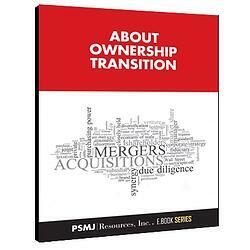 This E-Book is a concise framework that will help you prepare for a successful ownership transition. Ownership transition is inevitable…it is going to happen whether you want it or not. Take control of your and your A/E firm’s destiny and start planning for transition today. Before you consider an ownership transition in your A/E firm – or even if you have already started down the path - view this FREE e-book today!